One of my favorite things about Summer is the easy ability to get back to the basics, whether it’s simplifying your calendar, your home, or your wardrobe. 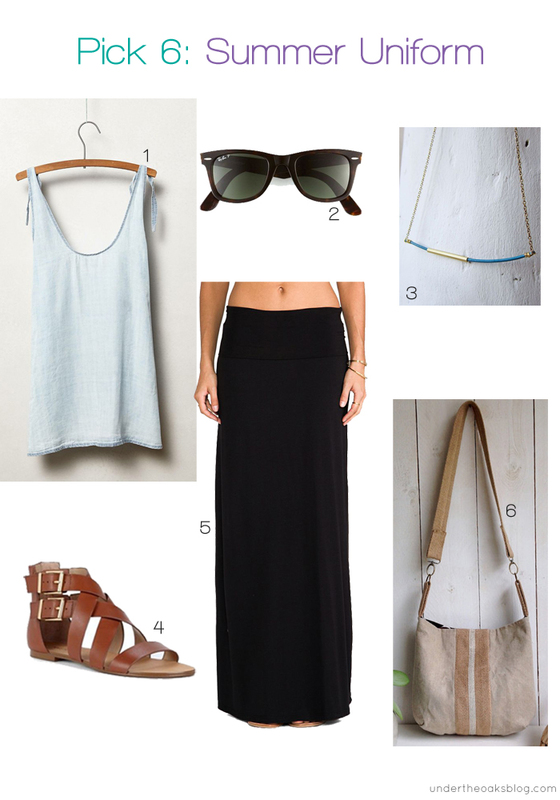 Today I’m sharing my six picks for must-haves when it comes to a great, basic yet stylish Summer uniform. I’ve been thinking a lot about how to make our home more cozy during the winter and this wishlist is made up of some of my favorite things to cuddle up with on a cold winter day. In the midst of shopping, I realized that the ladies on my shopping list have much different tastes. Some are super easy to shop for and some not so much. Sound familiar? So I put together this list of must-haves for any lady on your list all for under $35!